UBER a US based company which allows you to hire luxury cars via its Mobile App has started its services in India. It was known that Uber will enter India but nobody has predicted such hush hush entry for Uber for it has already started its operations in the Silicon Valley of India, Bangalore. Uber has revealed on its blog that it is conducting tests for the App and the service and would continue doing so for next several weeks. It doesnt mean you can hire a luxury car from Uber. Only problem is that in the test mode, Uber doesn't have enough cars at its disposal and it is still working on the fares. 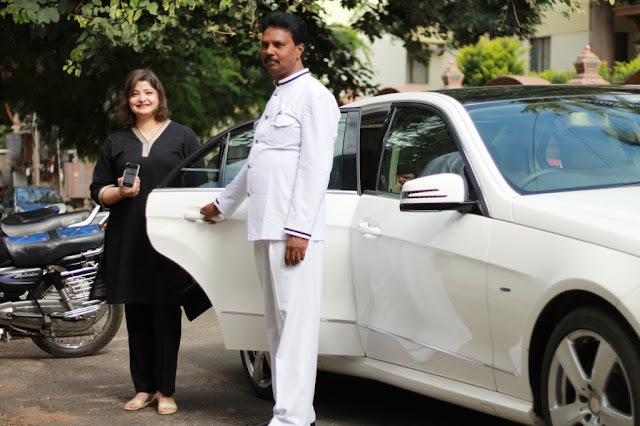 The blog post mentions celebrity artists Raghu Dixit and Vasundhara Das were amongst the first to experience Uber in Bangalore and that the two celebs were chauffeured around in Mercedes E Class sedan. Uber does mention an email ID and the company's Twitter handle @Uber_BLR for its Bangalore clients. Uber allows users to request for cab hires, connecting them to drivers of luxury cars. However, it doesn't let users make advance reservations and is an on-demand service so you can summon a car when you want to travel immediately. It keeps your credit card number on the file and deducts the fare automatically so there are no physical payments involved. If you stay in Bangalore and would like to take a Merc for a spin, download the App from here and give it a try.